More than 1400 individual visitors daily. The website is the biggest interactive site on the local market. Famous for the Job Market, Real Estate, and the Pin Board page. 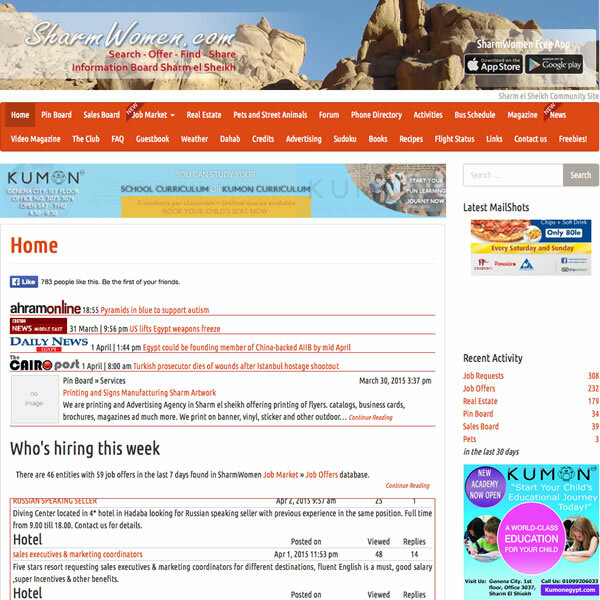 Most Sharm businesses and private people use the page for their requests and offers. the smaller sister of SharmWomen for Dahab.